Federica Tosi is an Italian brand for women that dedicates its collections to those who love a casual and refined style. The company, founded by a young Italian designer, offers pants, dresses, skirts and many other pieces for dynamic women who want to get a perfect and detailed look. Some of the pieces are characterized by a used effect, above all on the sleeves and the neck, that gives a vintage allure that never goes unnoticed. 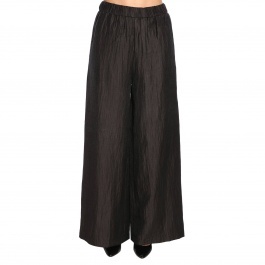 Discover our wide selection of Federica Tosi clothing and shop your favorite item at Giglio.com with free shipping.